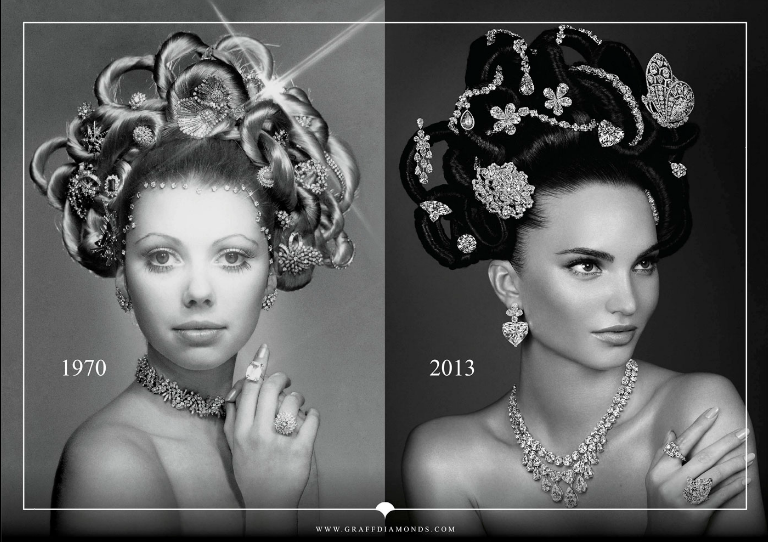 a recreation of Graff’s 1970s advertising campaign in black and white of a model wearing a modest £1 million of jewels tucked into her hair. 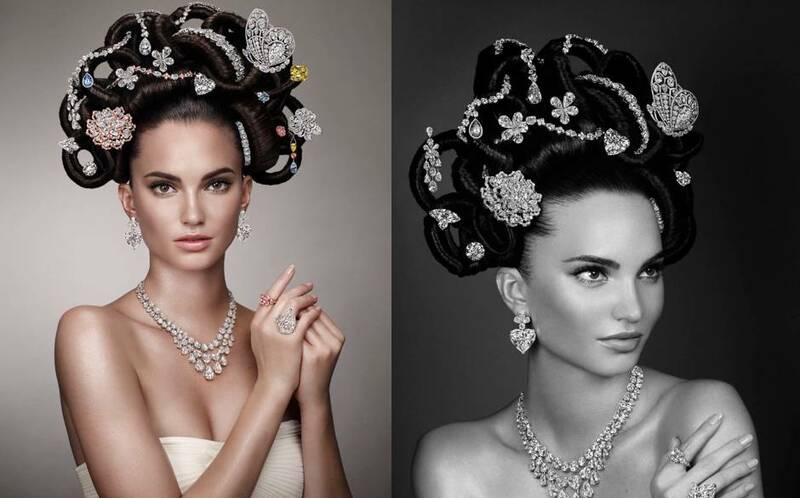 To celebrate the 60th anniversary in the jewellery business, Graff decided to recreate the advertisement with jewelry worth half a billion dollars. The jewels used are the 550ct Letseng Star, the 14 largest white diamond ever discovered and bought by Graff in 2011 it also includes a 10.47ct Fancy Vivid Blue briolette diamond pendant, a 52.73ct Fancy Vivid Yellow diamond ring and a 6.51ct Fancy Intense Pink diamond ring. Take a look at the 70’s advertisement and this years advertisement. Ps. Click on the images to enlarge them.